The Blue Oak Literature Series embraces the breadth of culture, ethnicity and geography of the American West by publishing and promoting works by both new and established writers and poets. Blue Oak Press is a publisher that believes regional literature is essential to the well being of people. 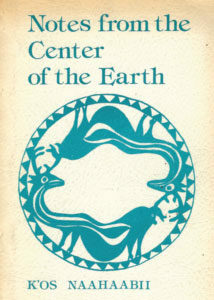 Since the 1960’s Blue Oak Press established a reputation for it’s commitment to authors and an editorial focus on art and issues in the American West. Under the current editorship of Randy White the press is currently engaged in revealing new voices and perceptions, particularly immigrant voices, that foster appreciation and understanding between the diverse peoples that inhabit the western landscape and contribute to its culture. Blue Oak Press publishes literature, particularly poetry, by and about both established and emerging American writers. We have published work by Robinson Jeffers, William Everson (Brother Antonius), Bill Hotchkiss, James B. Hall, K’os Naahaabii, Edith Snow, Randy White, A. M. Peterson, Judith Shears, Eileen Curtis and many others. 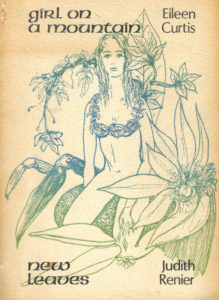 Blue Oak Press was founded in late summer, 1967, being the brain-child of Reuben Brewster, J. R. Phelps, Arthur Petersen, and Bill Hotchkiss. Soon Petersen and Ron Silva were driving a pickup across California’s American River canyon, from Georgetown to Auburn with an old Colt’s Armory letterpress. By January, 1968, these madmen had printed their first book, Petersen’s volume of poems Dark Savior. The Colt’s Armory changed locations numerous times. An offset press was acquired as well as a Chandler letterpress with a Kluge feeder. These were all housed in a badly-repaired, added-onto, 1890’s farmhouse, a fig tree arched precariously over it. Over the years Blue Oak Press migrated its operations from Woodpecker Ravine near Grass Valley, California; to high Sierra Sattley; an old orchard in Newcastle; Williams, Oregon; and back again. Presently we are located in Rocklin, California, notable for its granite quarries and Sierra College. What has not changed, besides going digital, are the small group of impassioned writers, editors, and artists who work long days and nights to create damn fine books in the hope of supporting writers, neglected by corporate publishers, who need a home for their voice. Though Bill Hotchkiss died in 2010, Blue Oak Press began publishing again during the summer of 2016 with the publication of Blood Transparencies: An Autobiography in Verse by Randy White which was nominated for both the 2017 Kirkus Prize and the 2017 Pulitzer Prize in the Autobiography / Biography category. Our next publication in the Winter of 2017 will be Song of the Cluster Bomblets by Soul Vang. Soul is the winner of the 2014 Imaginary Friend Press Poetry Prize and a Hmong poet who lives in Fresno, California. Grandfather Ishi, a new biography of the California Native American told from the perspective of the children who knew him is scheduled for release in Winter 2018. We have also begun to collect work on an anthology of South Asian Women Poets and their new life in the American West. 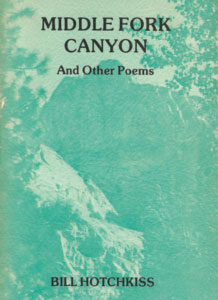 Early Blue Oak Press pamphlet with original logo.